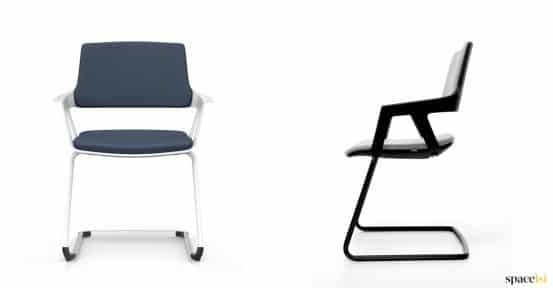 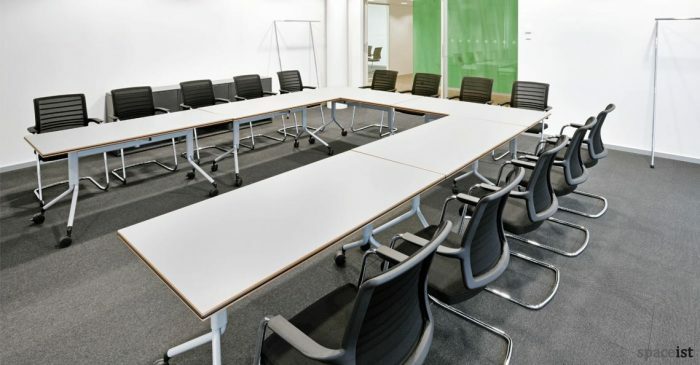 Categories: Stackable meeting chairs, Colourful meeting chairs, Cantilever meeting chairs, Meeting chairs. 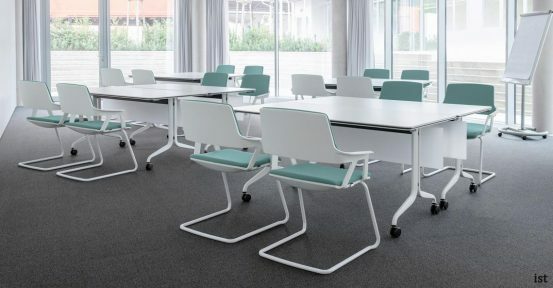 The new Ovy swivel meeting chair comes with a fabric seat and back. 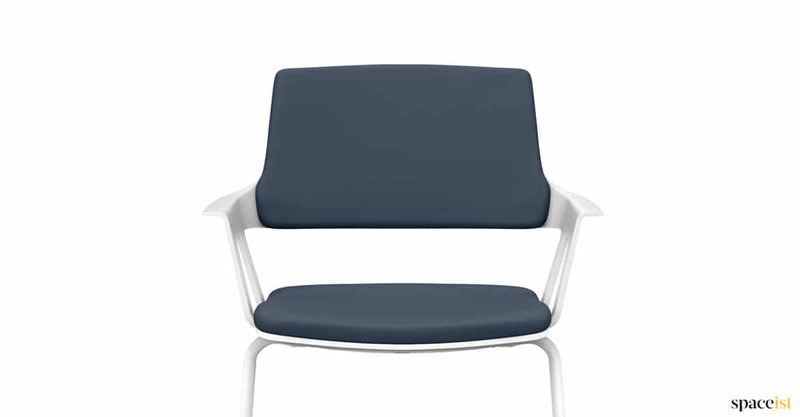 The frame can be supplied in black as shown or in white. 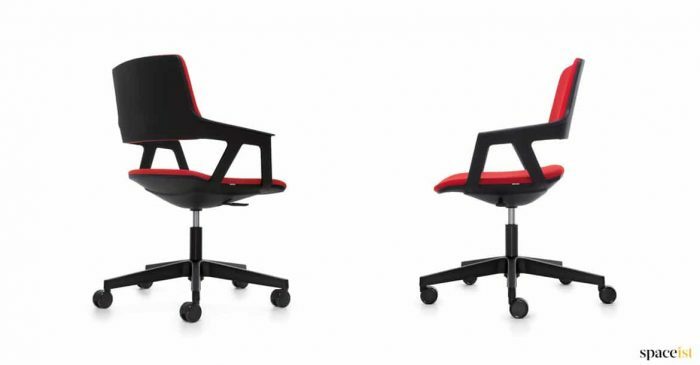 It has a quick change seat and chair carries a 5 year guarantee. 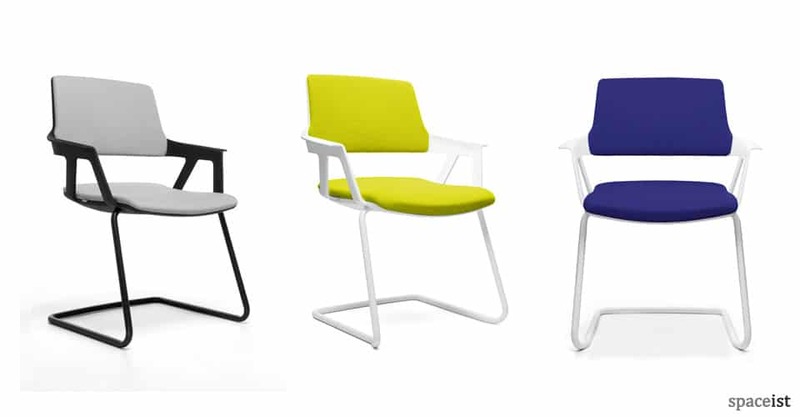 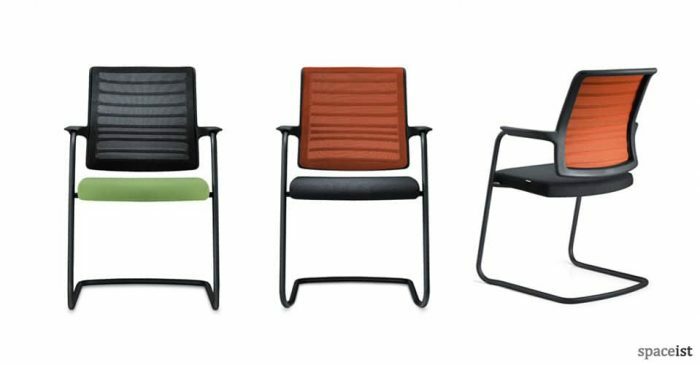 The upholstered seat and back can be supplied in many colours and can be stacked upon each other. 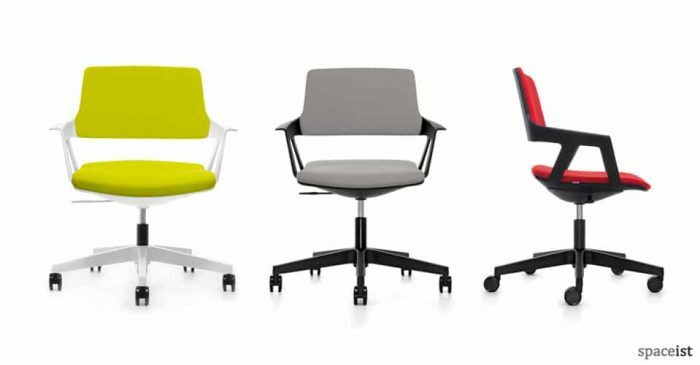 Swivel meeting room chair in red, green, light blue, dark blue, grey blue, sand & black seat. 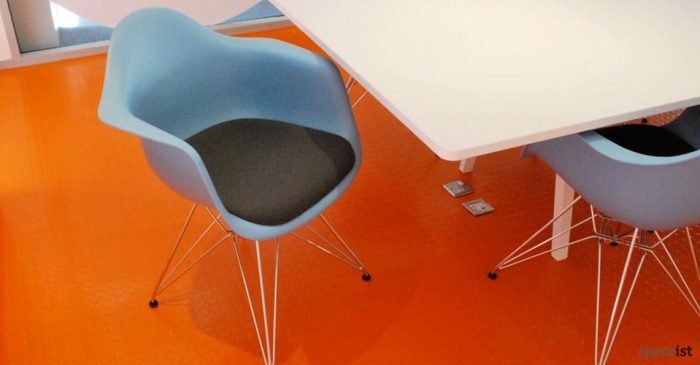 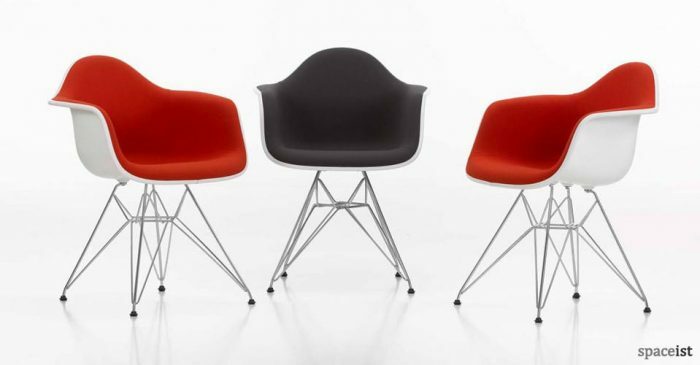 Orange mesh cantilever meeting chair. Back also comes in grey and black mesh.